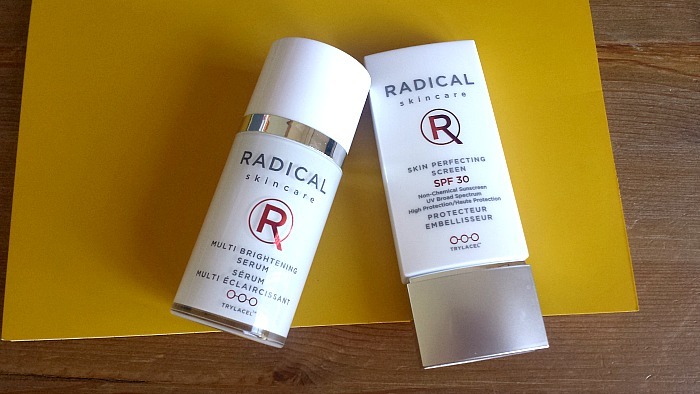 Radical Skincare is a brand that's relatively new to the UK (I think), so I hadn't heard much about them. Although saying that, in the few weeks I've been trialing these new products, I seem to be noticing the brand cropping up all over the place. Good sign, yes? 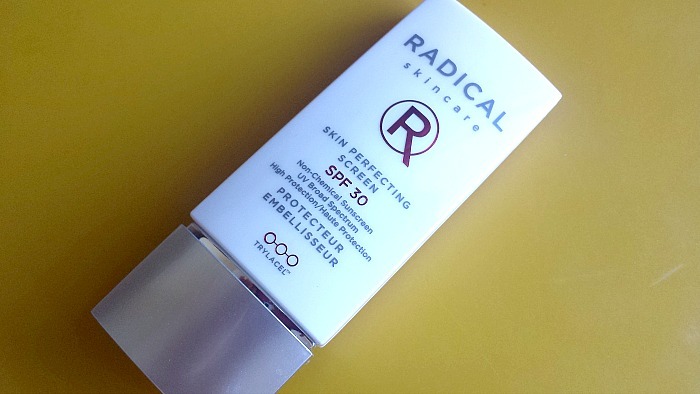 The owners of Radical Skincare are 2 sisters and the daughters of a world-renowned plastic surgeon who have researched for years before creating their own brand. So it's safe to say they know what they're talking about! 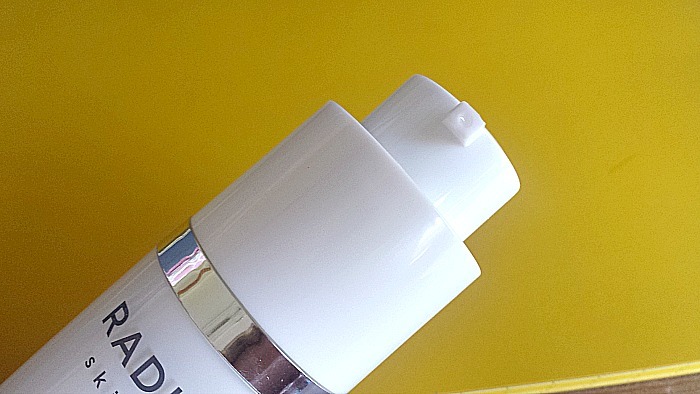 The Multi Brightening Serum is specifically designed to fight 7 identified causes of dark spots and uneven skintone. With Algae Extract to tighten the skin, Vitamin C to soften skin and reduce spots and an exfoliant factor, this serum has the ingredients for dream skin. 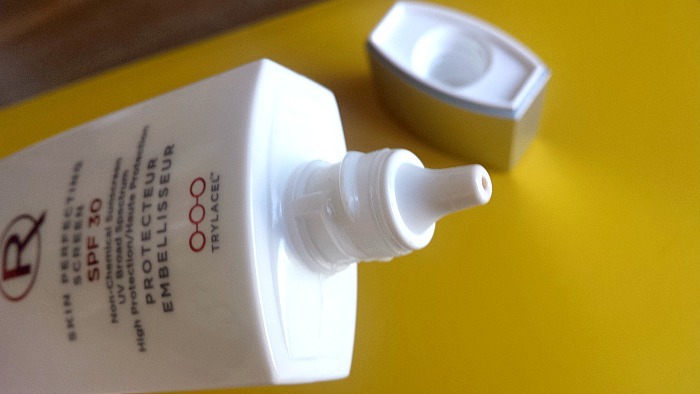 This serum, unlike many others, is actually designed to be used both day and night, as it's gentle enough on the skin. The first thing I want to say is how cool the packaging is. No annoying caps/lids, which means no mess. This bad boy has a twist & push mechanism that I just love. It's the little things. 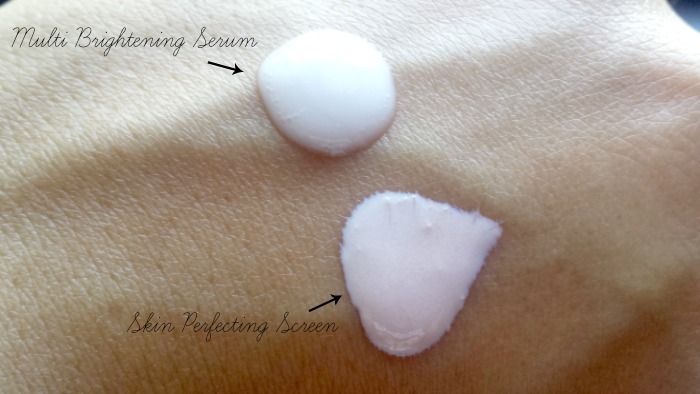 The serum itself is white in consistency and slightly runnier than the serums I'm used to. Not knocking it though, as I love how easily it works into the skin and how light it feels (very similar formulation to the La Roche Posay Effaclar Duo come to think of it). I find two pumps is enough to cover my face, using upward strokes. The finish left by this serum is amazing. You know how some serums leave a greasy, oily residue, well not this one. I think that's why it's great to use both day and night, as it won't affect how your makeup applies. In terms of long term effects, I can honestly say I have noticed a difference in the appearance of my skin. Not so much reduction of dark spots, as I didn't really have any, but my skin tone does appear to be more even, and the texture of my skin feels a lot nicer. On the whole, I'm impressed, but at £95 for the full size, I can't say it will become a regular in my skincare routine, sadly. The Skin Perfecting Screen SPF 30, is a non-chemical, lightweight, matte formula that's designed to blur lines and protect the skin from UV damage. Enriched with light reflecting pigments and a slight tint, this SPF isn't like your typical thick, white, chalky, skin clogging blob of grease, it's light and will give the skin healthy glow, whilst protecting at the same time. Amaze. 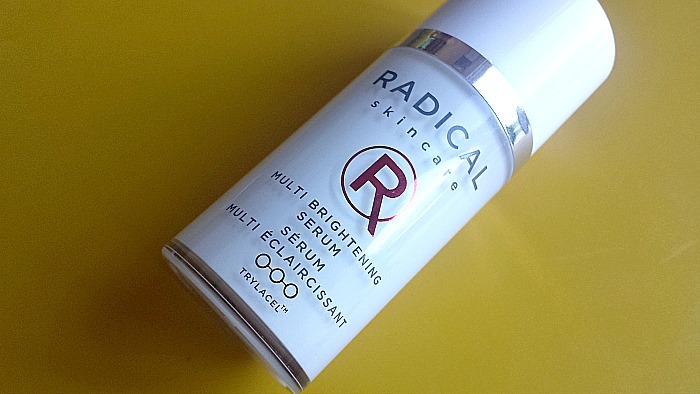 Have you tried any Radical Skincare products yet?